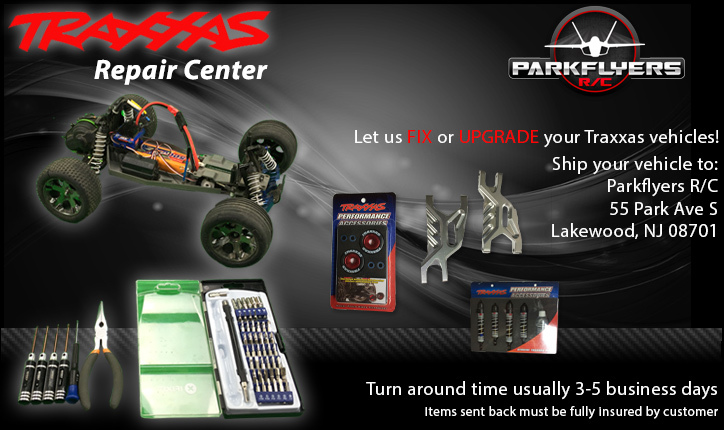 Parkflyers R/C is now an official Traxxas repair center. We repair or upgrade any and every Traxxas product that is currently available. Call our technical department with any questions regarding upgrades or repairs. To initiate a repair ticket, add this product to your cart and specify the vehicle issue in the notes section on the order form.